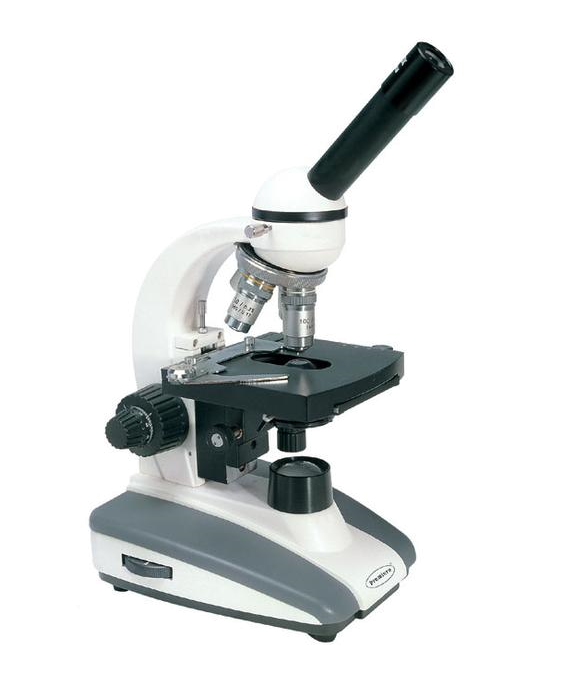 This is a high quality and economical microscope, ideal for junior and senior secondary school and industry with fully coated optical achromatic objectives. Maximum magnification 1000X. Monocular head with 30 degree inclination and rotatable through 360 degrees. Mechanical stage: 130mmx 125mm, moving range..
Condenser: Abbe N.A. 1.25 condenser with iris diaphragm and filter focusing. Coaxial coarse and fine focus adjustment. Illumination: Variable intensity 4.5V LED lighting with brightness adjustment.